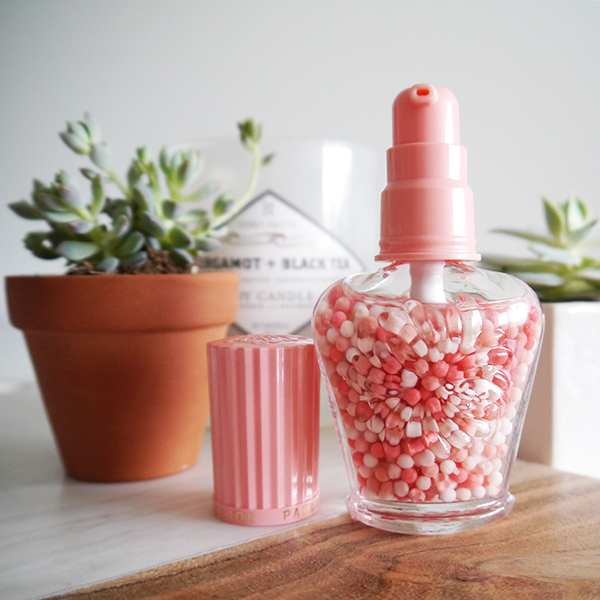 Any beauty brand that unabashedly leans into the feminine and whimsical as much as Paul & Joe does scores high points in my books. The packaging details are always so adorable, so girly, and so cat-laden that I want to be won over, even if sometimes the products don't perform as well as I'd like them to. There were definitely hits and misses among the the spring/summer 2017 limited edition samples I received for review. You can find all of these products at Shoppers Drug Mart (except for the Pearl Foundation Primer, which sadly seems to be sold out everywhere). All the details after the jump! Normally I don't photograph the boxes next to the products, but I had to make an exception for the limited edition Paul & Joe Gel Blush ($31 at Shoppers Drug Mart). Look at the retro-inspired corals, teals, and yellows! The palm trees! The big hats and the striped maillots! The box complements the line drawings encircling the gel blush's screw-top lid perfectly. The blush's gel-to-powder texture smells like roses and feels cool to the touch when applied, which would be so refreshing on a hot summer day. This shade, 001, is a universally flattering deep rose hue that goes on sheer and pretty but has build-able, blend-able coverage; you can apply with clean fingers or use a brush. 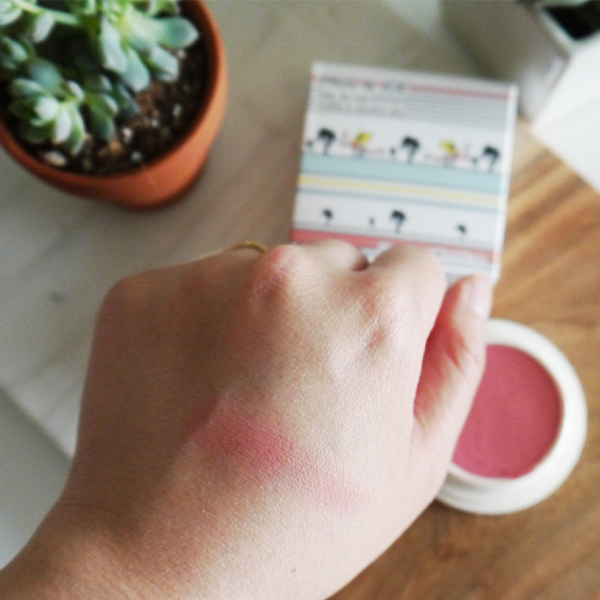 The colour's vibrancy doesn't fade, but if you do need to re-apply, you can easily tote this blush around: the container is super-compact and portable, the screw-top feels sturdy and won't come undone, and nothing will spill or leak in your purse. So is this a hit? You bet. 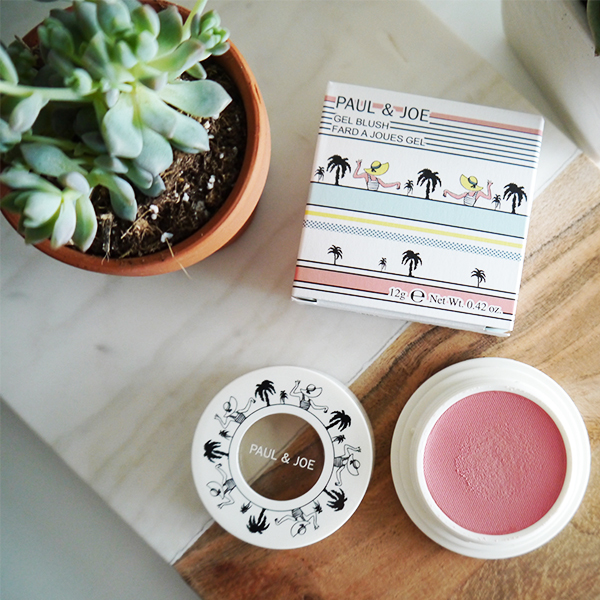 Also a hit: the limited edition Paul & Joe Tinted Lip Gloss ($29 at Shoppers Drug Mart), which features the same summery motifs as the Gel Blush. 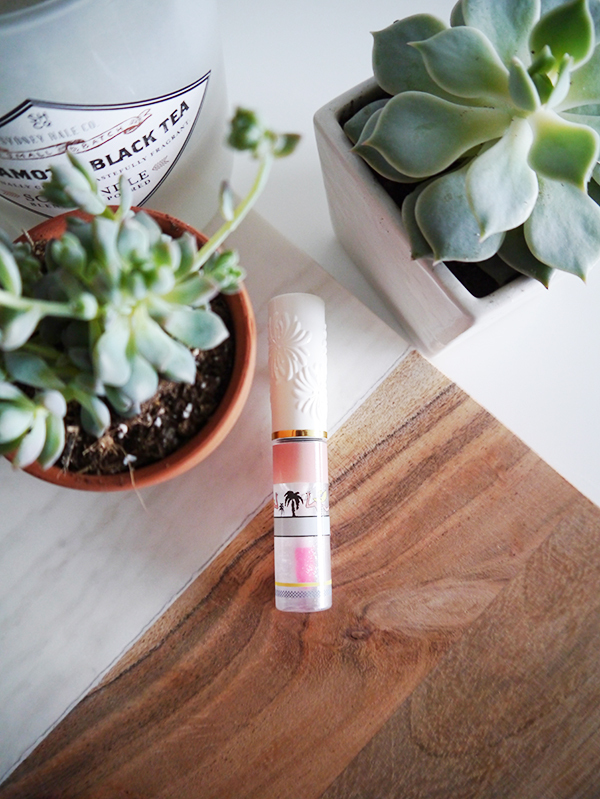 This glossy lip oil goes on clear and then colour-adjusts to enhance your lips' natural pink based on your pH balance, and it features a subtle shimmer that's fun, not juvenile, when applied. The tube is about the size of a finger and easy to slip into any size purse (perfect for tucking away into tiny crossbody bags for summer evenings!). 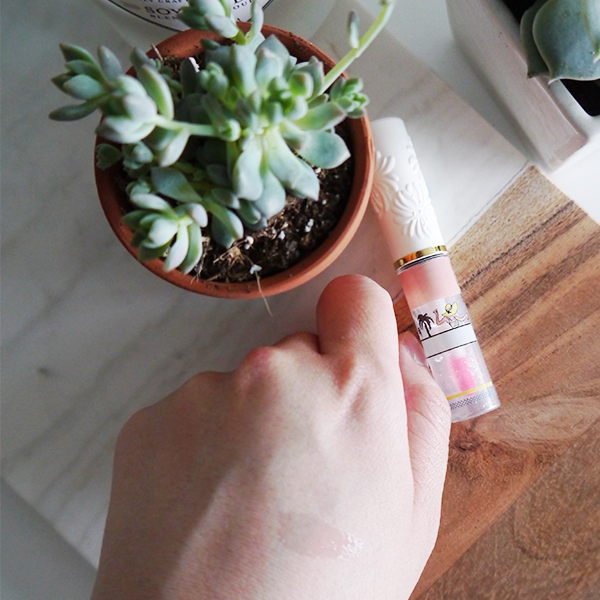 I also like how it can be applied easily, with minimal fuss and without a mirror—this is the perfect throw-on-and-go sort of lip product I like to reach for on a no-makeup day or after a barre class. 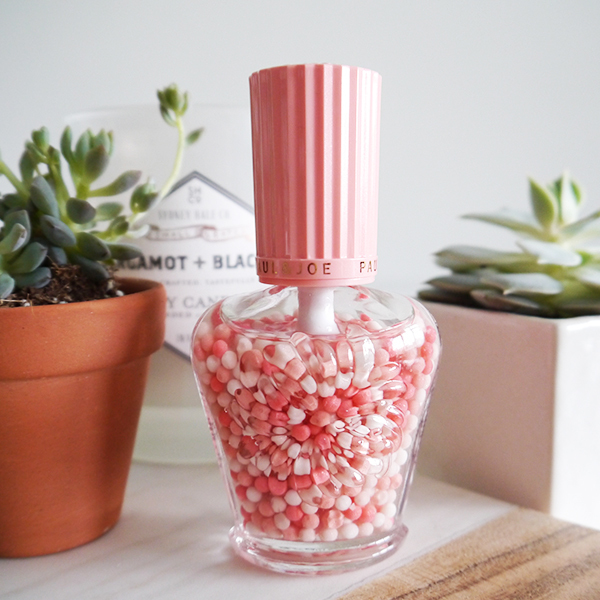 I wanted to like Paul & Joe Nail Polish ($16 at Shoppers Drug Mart) in 28: it's such a pretty pale pink with the subtlest of stealth shimmers and the packaging is reminiscent of old-school beauty vanities. 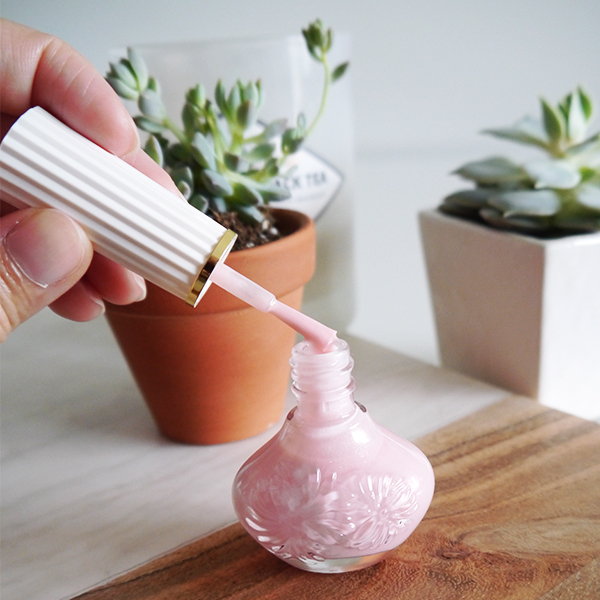 The brush was easy to use and had a straight, precise edge that made getting perfect cuticle lines easy even for a klutz like me, and the nail polish has a powdery floral scent once dried (bonus!). However, the formula was prone to chipping and cracking and by day 4 my nails were definitely looking the worse for wear. This was my first experience with Paul & Joe nail polish and if it's any indication, I might take a pass on their nail polishes in the future. 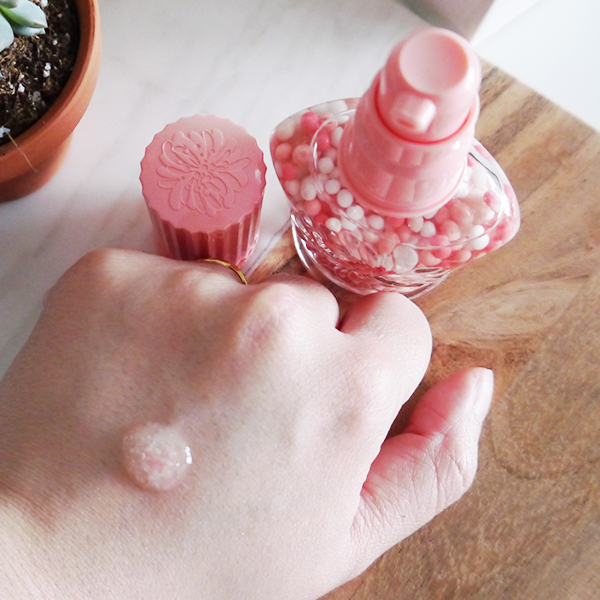 The Paul & Joe Pearl Foundation Primer is a thing of beauty to behold—just look at those shimmery pink and white pearls suspended in clear fluid! The dispenser crushes and mixes these pearls to deliver a product that's part serum, part makeup base, with a radiance-enhancing finish. I have mixed feelings about this one. On one hand, it looks great in the bottle and I like how the finish is lightweight and velvety smooth once the product dries down. There's no heavy silicone feeling, making it a nice primer option for summer, especially if you wear foundation regularly. (I don't.) On the other hand, I didn't notice any signficant radiance boost or skin enhancement from testing the Foundation Primer, and while the pearls have a subtle illuminating effect they don't even out skintone. This limited edition is sold out everywhere unlike the other products in this post, but it's not at the top of my must-buy list. 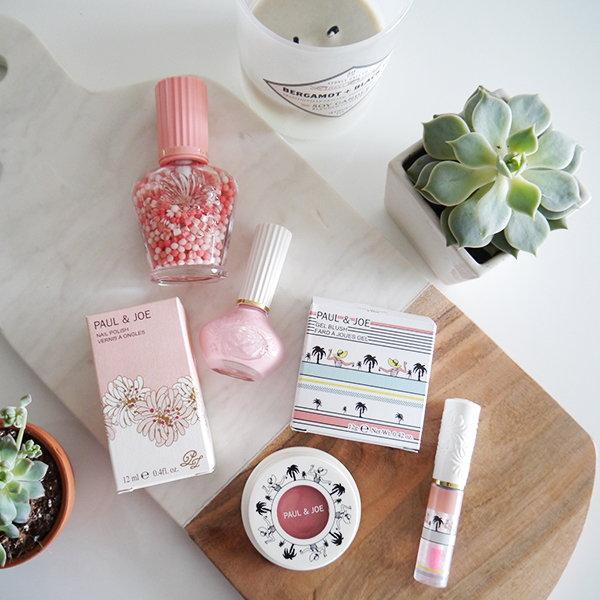 Are you a fan of Paul & Joe beauty? Any of these products calling out to you? Wow those pearls actually get crushed up? They're too pretty to be destroyed! I may have to try this, I have tried a few of Paul & Joe's other makeup products from b-glowing but haven't tried this one. This one was limited edition sadly, but they do have another silicone-free primer in the fall/winter limited edition collection!